What is United Way of Ventura County? 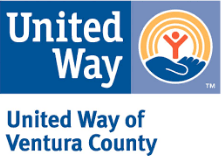 United Way of Ventura County is a local, nonprofit organization. We bring the community together to identify our most critical conditions and create lasting solutions. To do that, we raise charitable contributions, forge new partnerships, advocate for change, and invest in programs and services that deliver measurable results and building stronger communities. I already donate to charity. Why should I give to United Way also? United Way is focused on addressing Ventura County’s most pressing issues in our community, with specific goals for individuals, children, families, and the elderly. By combining our gifts we make a stronger impact that ranges from providing our elementary school kids access to better oral care, to education and to free social services through out our community. We not only fund programs that are meeting people’s needs today, we’re working on innovation solutions for lasting change. United Way also makes it easy to give through your workplace or directly. This greater convenience raises the level of philanthropy for the whole community. United Way also makes it easy to connect by volunteering. Best of all, you’ll see the impact of your gift right in your own local community. Why should I give my money to United Way and not just directly to agencies? United Way carefully studies the community to pinpoint our most pressing needs. It also identifies the programs that are most effective at meeting a given need. This research and careful stewardship is valuable to donors who want their contribution to make the greatest difference for people in our community. Needs are not one-dimensional. United Way funds a network of care to ensure that all the services needed in our community are available. United Way affiliation enables agencies to leverage more public and private dollars in addition to their United Way funding. This multiplies the effect of your contribution. Giving through United Way reduces costly and time-consuming fundraising efforts for the agencies, so their time can be spent helping others. How is my contribution invested? United Way focuses on needs important to people who live and work in this community—helping kids succeed, building stronger families, enabling older adults to live independently, supporting those with health and disability issues, providing relief in crisis, and creating vital neighborhoods. When you give directly to the United Way, your gift is invested in local programs and services that are achieving the most impact. What is United Way’s overhead cost? United Way of Ventura County’s overhead costs, including fundraising is at 15%. Why should I give through payroll deduction at my workplace? Your United Way campaign offers a number of advantages for you as a donor. It’s efficient: With lower fundraising costs, more money can be invested in our community. It’s convenient: Once a year, you decide how much you want to invest, and the donation comes right out of your paycheck. Spreading your giving throughout the year makes it easier to give significantly and still stay within your own budget. You never know when you, a member of your family or a neighbor may need a United Way supported service or program. Job loss, loss of a loved one, illness, accidents, disabilities, family problems, natural disasters, mental disorders and the problems of growing up and growing old know no boundaries. United Way supported programs reach neighborhoods and communities throughout Ventura County. Anyone who has learned to swim at the YMCA, taken a Red Cross first aid course, or called 2-1-1 has been served by a United Way community partner. Can I target part of my gift to a specific nonprofit? Yes. Through United Way of Ventura County you can give to any 501(c)(3) that is in good standing with the IRS. You can support your favorite cause through United Way even though that particular organization may not currently receive United Way funding. Keep in mind that United Way cannot hold agencies that do not receive our grants to our standards of accountability. In other words, gifts designated by the donor to other agencies do not receive the same monitoring and oversight. Your gift directed to United Way will have the greatest, measured impact, assuring that the most critical health and human service issues in our community will be addressed. Contributions designated to a specific agency that is funded by United Way of Ventura County will be paid in addition to their United Way funding. Can I use my credit card to make a donation? Yes. You may use your credit card to donate online, through your workplace campaign, via mail, or over the phone by calling (805) 485-6288. United Way of Ventura County believes that giving is a personal matter. Pressure to give is not only unacceptable, but it is wrong. We find that the most responsive contributors are those who have the opportunity to become informed and involved.